We enjoyed an interactive session with Tim Field, PhD in neuropsychology, exploring the successful ways neuroscience can be applied to challenges you face as a talent development professional. We quickly moved beyond debunking the basic neuroscientific myths of learning, and discussed a few quirks of how our brain works. At the start of the presentation, Dr. Field challenged each attendee to leave the seminar with one thing they could apply in their daily work. In this track, our guests answer Dr. Field's challenge. Special thanks to Regan Poston, Chris Steely, Michelle Abraham, and L'Oreal Battistelli for being willing to share their thoughts, and the 60+ attendees who contributed to the background chatter. Stop us if you've heard this one: each of us has a "learning style," (a “preference”) -- i.e., a preferred way of assimilating information. Some of us are auditory learners -- we learn by listening . Some of us are visual learners, which is why images play such a vital role when we sit down to learn something new or when we design content for our learners. Some are kinesthetic learners -- we “learn by doing." That is: we learn by touching, moving, and interacting with content in order to integrate new information with prior knowledge (to develop new knowledge) as participants in the learning process. Unfortunately, both concepts have been widely disputed as myths for lack of scientific evidence to back them up. According to Paul Howard-Jones in a 2014 paper titled: “Neuroscience and Education: Myths and Messages,” this isn’t necessarily due to willful manipulation of data. More likely, the creation of these ‘neuromyths’ stems from differences in terminology and language, or perhaps other cultural conditions. So what are the facts about how people learn, and how much do they forget? Dr. Thalheiemer says: “forgetting depends." For example, it could depend upon the methods a learner uses to absorb information. Pam Mueller, Ph. D., and Daniel Oppenheimer, Ph.D., published a paper titled: "The Pen is Mightier than the Keyboard" in which they identified a correlation between taking notes longhand (and the information that was retained) vs. taking notes using a keyboard. They concluded that the act of writing notes engages the brain in processing the information as you go. And, because we tend to write slower than someone (such as a trainer or professor) speaks, we're also forced to decide as we go what's worth writing down. Which brings to mind the neurological studies about how the brain filters all the stimuli that surround us. "As an information-processing organism, we are hardwired with an automatic ability to filter out perceptual irrelevancies," Harold D. Stolovich said in the beginning of his 2002 book: “Telling Ain't Training.” "From a training perspective, that is very important. ... if the learner unconsciously does not feel that the information is vital to his or her needs, the autonomic system may raise the threshold of sensory input and filter out what is being transmitted. As a result, there is no perception ... no learning." You probably saw this occur in one of your training sessions when one or two of your attendees locked eyes with you while you were speaking, and decided in that moment your message wasn’t relevant and “checked out” of the training, perhaps checking his/her phone for emails and/or searching the web. In other words, people stop learning when they decide new information isn’t important/relevant to them. All this neuroscience discussion is to suggest that as talent development professionals, we owe it to our learners to cut through the clutter of neuromyths and educate ourselves about how the brain works. If it's important to us that talent development remain an integral function in the corporate world, the next step forward in our industry is not one that clings to simplistic models, but instead takes a step forward and embraces a scientific approach that continues to question how we learn and apply those answers into continuously evolving training interventions. You can continue this discussion on neuromyths in this month’s Learning Event: The Myths and Magic of Neuroscience in Business, where presenter Tim Field, Ph.D. Neuropsychology, will explore the successful ways neuroscience can be applied to the challenges we face as talent development professionals. My name is Geri Lopker. I, like many of you, came into the world of workplace learning and performance through “the back door.” That is, I was a professional (an Occupational Therapist) who discovered that my staff had a need for learning and development. I decided to fill that need. What I discovered was that I really did not know anything about adult learning, about creating learner-centered training and materials, about sequencing learning activities that balanced the cognitive load…I could go on and on about what I did NOT know! Therefore, I set out to learn and stop putting my audience to sleep! I fell in love with the learning and development profession, and 30 years later, I am a trainer of trainers and instructional designers. So how did I become an expert in the fields of human performance, instructional design, and training facilitation (among many things)? I earned my Master of Human Resources and Organization Development. Then, I joined ATD (ASTD at the time), immediately signed up for the Total Trainer Program back in 1995, and got to work applying what I had learned. What a difference twenty plus years has made in the quality of my materials! I have always been a visual-kinesthetic learner, and I had seen my share training materials. Some materials were just pitiful, others where very well done. Those that were well done, I found, contributed to the actual learning. Those that were “pitiful” actually detracted from the learning. These included handouts, PowerPoint presentations, flip charts, job aids, and electronic performance support materials. My topic is Development: Developing Learning Materials (see you May 10th). I am passionate about this topic because I am convinced that learning materials do contribute to a quality learning event. Learning materials are needed for face-to-face learning, web-based synchronous and asynchronous learning, and self-paced learning modules. Materials development comes after the completion of Analysis and Design (in the ADDIE model). Development of learning materials is NOT the first thing a curriculum designer should do when asked to design a training program. Raise your hand IF you have ever been asked to create a training program and you sat down at your computer, opened PowerPoint, and began your design/development. Come on, my hand is up. Never again! We owe it to our learners to complete the Analysis and Design, get sign-off from the business unit manager or client, and only then can we create quality materials. Development of learning materials includes creating a paper or virtual participant guide, a leader guide, job aids, learning activity support items, PowerPoint presentations (or other presentation software), and evaluation materials. Join me as I demonstrate how to develop high-quality materials! I will also show you how you can maximize presentation software in the development of your materials. Who is Geri Lopker, MHROD, CPLP, CPT? What is Total Trainer University? Geri is president and principal consultant of Geri Lopker & Associates LLC, founded in 1995. Her client list includes international corporations, government agencies, nonprofit organizations, and Fortune 100 companies. Geri has over thirty years of experience working in the areas of systems, finance, change management, leadership, teambuilding, communication, strategic planning, and customer relations. When training is the right solution, Geri designs and customizes interactive instructor-led and virtual training that helps transfer the learning back to the job. Geri has been a performance consultant both as an internal Area Director of Operations for a large healthcare organization and as an external consultant and is known world-wide. We focus on your business results, achieved through exceptional development of your human assets. We deliver human performance improvement, worldwide. Taught by some of the highest caliber training professionals from the ATD‐Orange County chapter, this program takes participants from the initial needs analysis through the development of training materials, the presentation of training and conducting the final evaluations. This program teaches you to design and deliver impactful presentations for business meetings, conferences and special events, or classroom assignments. The learning environment is highly interactive and participants receive individual feedback for improved performance. Our 2016 Vice President of Marketing, Lisa Kolbe, joined ATD Orange County in June 2012. During her first year, she attended as many events as possible. It was at these events where she made great connections that eventually led to her being asked to be a board member. To prepare for her role as Marketing VP, she “surveyed data from our members, interviewed those involved in marketing at ATD-OC last year, and sought the collective insight” of current and former board members. She identified two main goals for Marketing in 2016. Lisa plans to accomplish these goals by leveraging volunteers, documenting and automating as many functions as possible, and partnering with other similar organizations where applicable. Lisa currently holds the title of Senior Program Manager of Change Leadership at Automatic Data Processing (ADP). This position has a heavy emphasis on communication, coaching, team development, and organizational development, skills that will serve her well as an ATD-OC leader. She is passionate about learning new things, understanding how change affects the people it touches, and sharing information. Lisa’s interest in change is not only about how it’s managed, but how to identify and understand what tools are available to use change tools to influence organizational change. She utilized her network of people within ATD-OC and connected with Denise Lamont to develop the Change Leadership Special Interest Group (SIG). The Change Leadership SIG meets every other month on the first Tuesday from 7:30 to 9:00 a.m. More information on this group can be found on ATD-OC’s website at http://www.atdoc.org/SIGs. Lisa likes to garden and has a community plot in Orange where she grows vegetables all year long. She loves the challenge of eating seasonally grown foods, and also enjoys digging in the earth. Lisa lives in Orange with her daughter, Jaylee, two dogs named Luna and Bruce, and Rob the lizard. She loves to travel and recently returned from a visit to England to meet her baby niece. She also had the opportunity to go to Dublin and enjoy Guinness beer right from the tap. Her next travel adventure will take her to Costa Rica to celebrate her birthday in style. You can reach Lisa at Marketing@astdoc.org. What is the BizSIG Project All About, Anyway? The BizSIG is dedicated to helping talent development consultants (both internal and external) distinguish themselves in a crowded field. They're applying the lessons learned from Peter Block's Flawless Consulting to an actual client -- the ATD-Orange County Chapter itself. What are two ways to draw attention to issues within an organization? What is one technique for clarifying positions of stakeholders? List two critical and personal reasons people defend the status quo? Our project with the Chapter is working towards a desired outcome of 'strengthening the chapter by adding greater value for members.' However, the group is struggling with defining action steps to that desired outcome. Usually consulting projects are project based (increase market share, cut costs, re-organize organizational structure) and the board spectrum of this outcome leaves an enormous amount of options: from membership, to chapter programs, to the value of member benefits such as the Member Profile and the Job Board. Additionally, the organization is viable and it has structure, support, and finances to continue operations for the foreseeable future without ever mentioning the word ‘change’. So what is this project all about? The project is about innovation for talent development – your professional development – and discovering the path for you and others. Recognizing that, we note that innovation requires an investment of time, engagement, and resources. Since ATD-OC is a volunteer organization, organizing groups to take action on any innovative ideas proposed by the BizSIG team will be a critical step. If you'd like to get in on this project while it's still in the forming stages, there's plenty of opportunity! We're meeting again in February, where the topic of discussion will be 'Discovery and Dialogue,' and we'll seek to define and commit to a success step for our client. Learn more about the BizSIG. Stay up-to-date on all SIG Events. I f you're someone who wants to get into writing, explore what's involved in the marketing and communications aspects of talent development, or simply looking for unique opportunities to network with seasoned practitioners in the talent development field, we're eager to chat with you. ATD-OC is looking to add to our community's pool of knowledge through the creation of original content. The content would address topics of interest to the talent development community, and would explore the myriad of development opportunities our chapter offers its members. You could submit original content based upon your experiences in training, instructional design, or eLearning, or you could select from one of our Community Content Calendar topics. And while we'd be thrilled to list you as a "Chapter Writer," we'll be equally elated if you elect to take on a single article. Either way, you'll find a way to get your unique voice out to a community of talent development professionals. To get started, simply complete our Call for Writers interest form, or contact our Social Media Coordinator at SMOC@astdoc.org. With knowledge at our fingertips, we sometimes forget the beauty and power of connecting with other people. When like-minded people gather to share their insight and experience, the room comes alive. On Oct. 28, 2015, ATD-OC welcomed award-winning eLearning designer, Kevin Thorn, for an evening of “Tapas, Wine, and Storyline.” The evening had almost a fireside chat feel to it as Gloria Hays expertly guided the conversation with Kevin. Sitting in the audience, we felt we were as much a part of the conversation as the star speaker. Listening to Kevin, one gets the feeling that it is possible to attain one’s dreams even when unsure where those dreams lead. Kevin learned Storyline basically on a dare. And, in his stories, he dares us to dream and think bigger – or at least differently. Kevin shared tales about how something as simple as doodles became the logo for his company, Nuggethead Studioztm, along with insightful perspectives on process design. Through that story, and several others, Kevin encouraged eLearning developers to “think differently about their design” -- to think through the behavior of what they want their learners to experience -- the user experience. Focus on this, and design from this. Too often, Kevin shared, individuals building programs ask development questions when they should be focusing on design questions. In the subsequent discussion, one guest in the audience insightfully leveraged her Executive Experience saying: “Tell them nothing. Ask them everything”. When Senator Paul Ryan announced that he would entertain the House Speakership, he did so with a few conditions. One of those: that his weekends were reserved for his family. "I cannot and will not give up my family time," he said. This requirement for work-life balance isn't new, but it is a defining trait of today's leaders. According to an EY study: "Work-life Challenges Across Generations," approximately half of managers globally are working more than 40-hour work weeks. Four in 10 say their hours have increased over the past five years. This challenge to work-life balance appears to have impacted Millenials the most, who the EY report states are almost twice as likely to have a spouse or partner working at least full-time than Boomers -- a conclusion that highlights the differences between the multiple generations within our workforce. Baby Boomers are typically characterized as driven, working long hours to establish self-worth, identity, and fulfillment. Seen as sacrificing family for work-ethic, they're currently blamed for a rising divorce rate, a sharp contrast to the Millennial desire for both solid family time and rewarding work. A potential side-affect from this approach to work: Boomers perceive that the ability to lead comes from the work experiences they have gained during those long work weeks. Millennials, coming into management with fresh MBAs and leadership certifications, lack that experience. As they bring their ideas and mindset into the workplace, these young leaders often challenge the established workforce with their "way of doing things" that hasn't been tried and tested over time, and won't be tried or tested if they insist on sticking to an 8-to-5 schedule. Work-life balance is one snapshot of many in which Millennial managers impact a multi-generational workforce. This month Devon Scheef, co-founder of The Learning Cafe, will share other snap shots of Millennials as formal organizational leaders, how they view their own leadership, and how these create a gap between those protecting an organizational legacy and those pushing forward with approaches unencumbered with past practice. Join us for lunch this November 18 to explore this topic further! 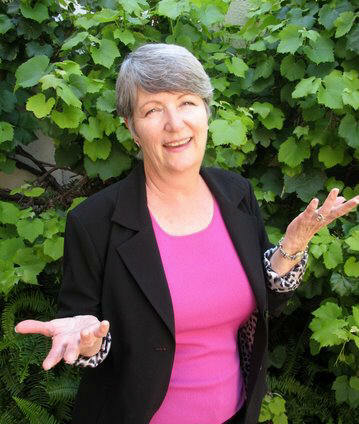 With sadness, we announce that ATD-OC has lost a long-time member, devoted volunteer, and friend. Sheri Long passed away on Monday, November 9, after a two-year battle with cancer. She was at home, at peace, and surrounded by family and friends. Sheri, who joined our Chapter in 1993, was a consummate learning, development, and diversity professional. As a child, she grew up on a ranch alongside Mexican farm workers, thereby learning Spanish at the age of six. Later, she lived and studied in Mexico. This background, plus training and experience as a family counselor, lead to the vocation she loved so much. Her company, Amigos At Work, helped organizations lead, train, and engage their Hispanic workforce. Sheri volunteered for many organizations, especially those serving Orange County's Hispanic communities. She performed many volunteer roles for ATD-OC, including 2014 Vice President of Talent Management. "Please, take a moment to pause and remember Sheri: her vitality, her talents, her laughter and party spirit, her colorful ideas and surroundings, her extraordinary bilingual skills, her knowledge of people and organizations . . . her impact on her many clients and systems that benefited from her leadership . . . Also, remember her love of fun and joy, and her amazing ability to share those qualities . . . "
If you called Amigos At Work, and got her voicemail greeting, "Hola, amigo!" you felt she really meant it. When Sheri and I first worked together on the Chapter Board, I noticed right away her generous use of the Spanish word for friend -- and got used to being called "amiga." Sheri's husband, Lee Pound, asks those who wish to share thoughts and memories of her to email them to lee@leepound.com. Be sure to type "About Sheri" in the Subject line. Also, a celebration of her life will be held at a time and place to be announced. If you wish to attend, please be sure Lee has your email address. In the meantime, as David Hartl said, "we're going to miss that girl." Yes, we will. Good-bye, amiga. 2016 News: Your 2016 ATD-OC Board has been working hard in preparation for next year. First they met with the current board for wisdom transfer and next an onboarding session and idea exchange meeting on October 17th. Last night we met in virtual meeting to discuss details to create member value through programs, volunteer and leadership opportunities. The underlying theme for 2016 is Explore, Experience, Share and our focus for first quarter ATD-OC programing is ‘Local Treasures’. Over the next few months, we will be reaching out for presenters to fill various program needs for 2016. Additionally, if you have dynamic content to present or know others with exciting content our members would enjoy experiencing, please contact or have them contact presidentelect@atdoc.org or president@atdoc.org with information about these "Hidden Treasures."